It is consoling as often as dismaying to find in what seems a cataclysmal tide of a certain direction a strong drift to the opposite quarter. It is so divinable, if not so perceptible, that its presence may usually be recognized as a beginning of the turn in every tide which is sure, sooner or later, to come. In reform, it is the menace of reaction; in reaction, it is the promise of reform; we may take heart as we must lose heart from it. 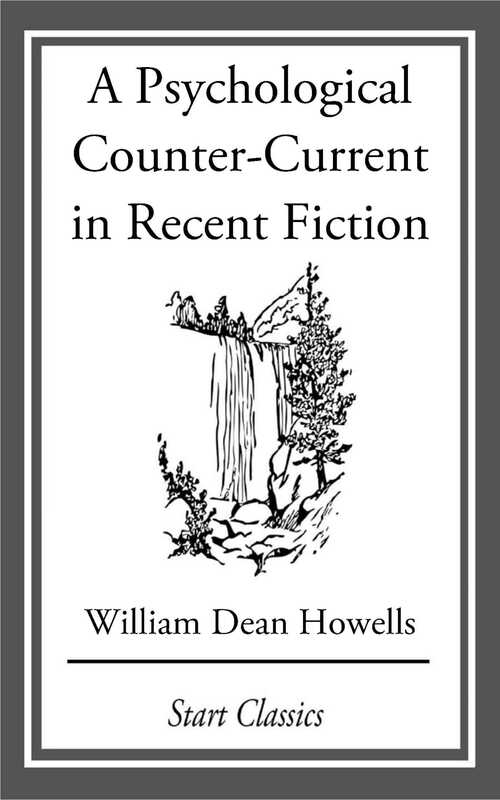 A few years ago, when a movement which carried fiction to the highest place in literature was apparently of such onward and upward sweep that there could be no return or descent, there was a counter-current in it which stayed it at last, and pulled it back to that lamentable level where fiction is now sunk, and the word "novel" is again the synonym of all that is morally false and mentally despicable.